SheetCNC is a commercial project. It’s a full-sheet 2.5D / 3D CNC machine which can be built at home from a kit. It’s made from plywood, MDF, and steel. And it’s chain-driven. So it sounds awful, right? Well, it cuts timber sheets and plastic to a realistic precision of around +/- 0.15mm. And it can etch PCBs using a 0.2mm vee-cutter. 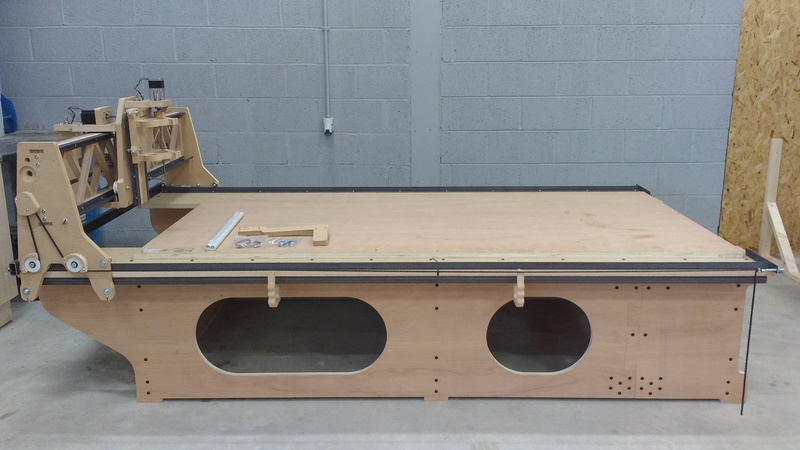 Which is not too shabby for a water-cooled CNC machine that can be built – including the controller and ready-for-work – for just £3300 in a weekend. My human used a SheetCNC to cut out all the parts that make me.